Primary testicular lymphoma (PTL) usually occurs as a diffuse large B-cell lymphoma in elderly males. The first diagnostic and therapeutic procedure in a patient with PTL is inguinal orchiectomy. 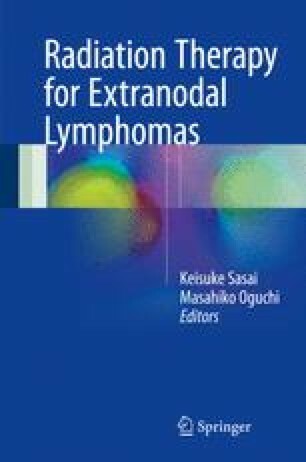 The guidelines of the International Lymphoma Radiation Oncology Group recommend rituximab combined with CHOP or more aggressive regimens as the first-line systemic treatment, with prophylactic intrathecal or intravenous methotrexate to avoid disease relapse in the CNS, the most common site of tumor recurrence. Because the testis is a sanctuary, the tumor in this organ is not responsive to systemic chemotherapy. The contralateral testis should be irradiated to prevent recurrence.